Vipassana means ‘observing as it is’. That is what Gouthama The Buddha, at the age of 35, did on a Chitra pournami night around midnight, under a peepul tree. He sat with an ‘adhittana’ (meaning self-determination) that he would not move until he attains ‘nibbana’ – the ultimate state of realisation. And it is said, within the hour after midnight the whole secret of life was revealed to him. Of course it was not the result of a day’s effort, but the culmination of years of (may be lives of) searching, seeking, practice, and learning from many gurus of his period. All his earlier practices did take him closer to self-realisation, but none revealed to him the secret behind human suffering. Even though the religious and philosophical thought of those times did mention the reason behind human misery is attachment to objects in the form of raga-dvesha (like-dislike) and therefore propagated that the only way out of this vicious cycle is by developing the state of detachment, none of the systems showed him how. What he discovered on that full moon night was exactly that – the key to mitigating human suffering. My rudimentary understanding of the chain linking the objects outside of us and the suffering we experience within us, based on the teachings of The Buddha after attending the 10-day Vipassana course for the second time, can be summarised as: when our six senses (eyes, ears, nose, tongue, skin and mind) come in contact with an object (any outside stimulus) it is subject to the 4 broad functions of the mind. Initially the sense takes cognition of the object (vijnana); cognition leads to recognition (sanjya); recognition creates a sensation in the body (vedana); which is followed by a reaction (sanskara) by the mind, in the form of craving or aversion. It is this reaction that forms a recording in our mind which has the habit of repeating itself with every similar object being cognised by the senses. These repeated sanskaras are part of a vicious cycle that is the source of misery whenever we do not get what we crave for or when things happen which we have an aversion to and so want to avoid. Therefore, it does not matter if the sensation is pleasant or unpleasant. Both lead to misery if we develop an attachment to it, be it through craving or aversion. Both craving and aversion are the means to developing attachment. If we want to be out of misery and be in a state of eternal bliss, we have to break this chain at some point. We cannot eliminate all the objects outside in the world; nor can we stop our senses from recongnising them; the very nature of mind-body complex makes sensation inevitable. But the only link over which we have power is to not react with craving or aversion. If we stay ‘equanimous’ to every sensation in the body and not react with craving or aversion, instead simply observe the sensations and let them pass, realising the truth of ‘aniccha’ meaning changing or impermanent, we can sever the cycle of misery. Therefore, the secret of nibbana lies in the two faculty of awareness and equanimity. And that is exactly what Vipassana teaches us to practice. When we simply observe sensations and develop the sense of detachment we are not creating any new sanskaras. Then our accrued sanskaras from the past (if you believe in rebirth, then this includes from all previous births as well) surface as sensations in the body and pass away, provided we stay equanimous to them irrespective of they being pleasant or unpleasant. I was reminded of how the Johari Window works. We do not know what is there in the ‘unknown’ part of our self. But if we work on the ‘blind’ and ‘hidden’ parts, stuff from the ‘unknown’ surfaces either through the ‘hidden’ or ‘blind’ parts, thus providing opportunities for us to get them to the ‘open’. Then the question arises – what is the motivation for people to do anything at all in that case? That is where the notion of dharma (or dhamma in Pali, the language in which Buddha taught and in which his teachings were recorded) becomes relevant. All beings are to act according to their nature (dhamma), which is actually postulated by The Buddha’s four fold path namely sila, samadhi, panya and nibbana. Sila is right conduct; samadhi is being equanimous; panya is the wisdom knowing the changing nature of all phenomena; and nibbana the eternal peace or bliss. One leads to the other and builds on the previous step in the path. The path is dhamma. Some aphorisms from the discourses of Acharya Goenka in the evenings of the Vipassana camp stood out to me and struck a chord in me to understand this path of dhamma. We use one part of the mind to control the other parts of the mind: Most eastern approaches to spirituality and liberation call for ‘killing the ego’, ‘working beyond the mind’, and ‘not becoming the slave of our mind’ and so on. It is easier said than done. But not many tell us how. For good or worse, humans have a mind and we perceive everything through that. So if our mind enslaves us and bring misery then we have no other tool to counter it and bring it under our control. That is exactly what Vipassana does – it gives us a technique to use part of our mind (the one that seeks freedom/liberation) to work with the other part of our mind (the one that is victim of habits and drag us into that realm of sanskaras through craving and aversion). Unconscious is always conscious: The so called unconscious is never unconscious. It is that part of us which is always conscious. When I heard that it sounded so obvious, even though I never thought that way before. What we call unconscious is that part of the mind which is not available to OUR consciousness. But it is always awake to the world and so it reacts to even the subtlest of sensations which often stem from the deepest recesses of our body and mind in response to the objects we encounter. These sensations are based on our past experiences and habits of the mind and are almost automatic (involuntary) and so cannot be avoided. But what we could do through Vipassana is to let them surface at their own time and will and simply sit and observe them dispassionately with equanimity so that they do not become another added sanskara. I found resonance of this aphorism in the belief in NLP that our unconscious will always act in order to protect our self. I suspect the presupposition here is that the unconscious is always alert and active, even when we are deep asleep. Sensations are the link between our body and mind: Over the past few centuries, stemming from Descartes’s view of life, the so called divide between the body and mind is ingrained in our collective consciousness. Of late I’m beginning to realise what a farce it is and this Vipassana experience helped me clarify it further and increased my conviction that our body and mind are inseparable whole. We might want to talk of them as separate for convenience, but all our actions are a product of the interplay between the two. I’m increasingly beginning to realise our responses to life incidences are not complete unless they come from the consideration of both our body and mind. Both influence and affect each other seamlessly and continuously and our body sensations are the key link between our body and mind. One way to master our mind is by reacting to these sensations with equanimity. 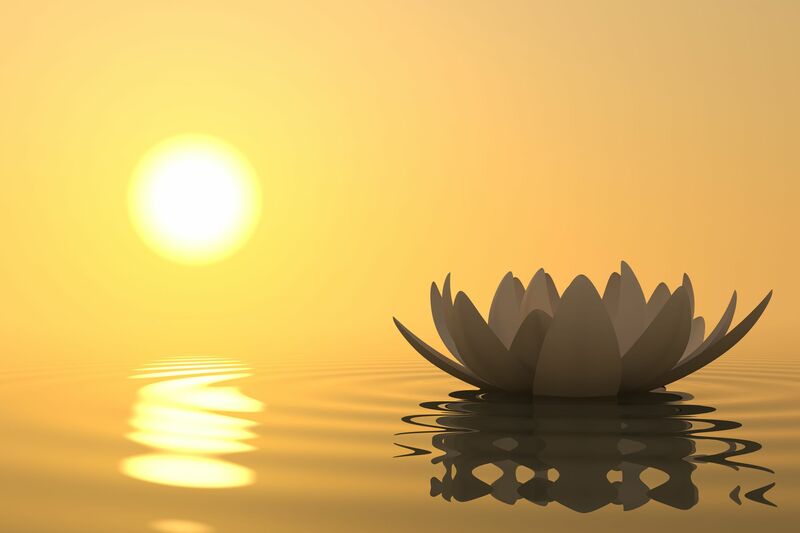 Liberation is a life-long process: As we sharpen our mind to be more and more sensitive to our body sensations through the practice of Vipassana we would experience the impermanence of sensations at the surface of our body. I have experienced this first hand in the two Vipassana courses I attended. I could experience the transient and ephemeral nature of all sensations, even the most painful ones and definitely the most pleasant ones. On continuous practice, I understand that this experience of transcience on the surface of the body could be experienced deeper into the inner recesses of our body in every bone and tissue. This would eventually help us experience how the seemingly solid matter is nothing but a bag or constellation of wavelets constantly in vibration. Isn’t this what science has arrived at recently? I felt bit spooky when The Buddha had realised and taught about this 25 centuries ago by sheer observation of his core inner self, without any hi-tech gadgets and laboratories. Therefore, letting all our sanskaras pass away would be a life-long process, if not lives-long process, provided we don’t add anymore sanskaras. This leads to the question of why then we should embark on this futile process, if we could not reap its benefits immediately before this life ends. In the immediate and short term the process of sharpening our mind to develop the faculty of awareness and attitude of equanimity by itself could get us lot of relief and bring meaning to our lives by brightening our outlook towards us, our relationships and life itself. Imagine how blissful life could be in the here-and-now when we could respond to rejection and affiliation equanimously. How it could help us to live life fully with joy and poise! These could be the immediate, short term psychological benefits of the practice of Vipassana, while the more ardent ones could travel further towards liberation. In essence this is what I understood from my second Vipassana course in Tiruvannamalai. What a different experience it was from the first one, two years ago, in Chennai! The first time my mind was preoccupied and excited by the rules of noble silence and the rigours of 4 AM to 9 PM schedule. Following the routine precisely was the focus and successfully accomplishing it by itself was a big feat. So whatever experience I encountered I faced with awe and admiration. This time around I experienced the real turmoil of the mind and understood the purpose and the science behind the whole exercise. The process was real to me and was no more something that I imbibed and blindly followed as instructed by another, which is what I did last time. Let’s move now from my understanding of the general theory of Vipassana to my experience of the 10 days of Vipassana practice at Dhamma Arunachala, Tiruvannamalai. I have to caution here that no two people will have similar experiences. Not even the same person will have similar experiences over two courses. My experience during the second time was very different from the first one two years ago. May be because I was no more the same. Also may be because the sanskaras that choose to come up this time are very different form the ones that came up last time around. WE are not in control of what will surface, but we are only in control of how we react to them. Even the same person’s experience does not stay similar or predictable through the same day. One day I get up dull and hopeless but by the end of the day I am all cheerful or vice-versa. So please read this as an indicative narration of my personal experience only and not a typical experience of all Vipassana students there may be a broader general pattern of experiences if researched over a large population, but that is beyond scope of this blog. Day 1: Monkey of a mind: the first 3 days of the practice is called ‘aana-paana’ referring to the breath moving in and out. Observing the breath is the preparatory stage for Vipassana. First 3 days we have to simply observe the breath. We all know idle mind is devil’s workshop. One has to sit idle for 10 hours a day to experience it in full force. Day 1 we are supposed to simply observe the breath as it enters and leaves the nostrils. While the new students (who are doing the course for the first time) have the luxury of observing the breath’s movement all over the larger triangle covering the nostrils lined by the upper lip as its base, we the new students (who have done at least one 10 day course) have to focus only in the restricted area above the upper lip and below the rim of the nostrils – the moustache area. While one part of the mind knows that I’m supposed to observe the breath, most part of the mind keeps jumping from one thought to the other, nonstop. Initially I was irritated, then got restless, slowly became impatient, at one point became hopeless. Then I reminded myself that I’m supposed to simply observe and not to attach any value towards whatever is emerging. So by the end of the day felt amused. Overall it was a not so bad beginning. I could keep my attention unwavering continuously at least for a minute. Great accomplishment! If you don’t believe how hard it is, try it. Day 2: Fear and pain: Day 2 was supposed to be the most difficult day followed by day 6. Day 2 started with a spurt of gripping fear, from an unknown source within me. Slowly one by one event and incidents that triggered fear, big and small, surfaced one after the other. As the day progressed, fear was accompanied by pain in the limbs. Legs would go numb in about 20 minutes and after that start paining like hell. Pain and fear is a deadly combination. I started wondering why I want to do this and if I would want to endure this for 8 more days. The thought to leave surfaced couple of times but never strong enough to take it seriously. I was told in the evening discourse that this was the day many people would like to quit. I endured as I knew from my previous experience that no 2 days would be the same. I knew this ordeal will also pass and it did. The end of day 2 was much calmer that the way it started. I guess all the fears manifested as sensations and the gestalts were closed since I was simply observing them and not trying to push them away or run away from them. Day 3: Breath to sensation: Today the focus shifted from observing the breath to observing the sensations arising in the triangular area under the nostrils. Sensation includes anything in the wide spectrum from gross pain or touch of the breath or air flowing over the skin to much subtler sensations of tickling, tingling, itching, heat, cold, pulsation, vibration, expansion, contraction, pressure, lightness, heaviness, stress, numbness… whatever it is. Sometimes it could even be no sensation. The trick is to stay equanimous irrespective of what the sensation was. The technique is to sharpen the mind by focusing attention to a small area. Smaller the area the sharper the mind will become. Stream of thoughts never stopped, but there was now some order and much of the thought was about the technique. The monkey stopped jumping on and off and instead now stayed on one branch for a while before jumping to another. By end of the day mind learned the trick of being sensitive to the milder subtle sensations. Day 4: Vipassana day: This is a significant day since Vipassana was taught on this day after 3 days of aana-paana. By the afternoon on day 4, the attention shifts from observing the sensations of the restricted triangular area to the whole body starting from the crown of the head, moving part by part, piece by piece, throughout the body, though all the parts of the body till we reach the tip of the toes. The idea is to keep moving from part to part as soon as a sensation is sensed and not spend too much time in one place, even if there is no sensation felt. Added to this is yet another condition – adhittana – meaning self-determination – where we resolve to sit for an hour without moving the posture. That’s the pinnacle of this technique. I was able to manage up to 40 minutes beyond that I just could not bear the severity of the pain in the legs and back. Any pain or unpleasant sensation is indication of a negative sanskara coming out while a pleasant sensation is indicative of a positive sanskara revealing itself. Either case we are not supposed to react to them with craving or aversion and that’s the hardest bit. If we develop longing for pleasant sensation or want to get rid of the unpleasant sensation, we are only adding more sanskara which defeats the whole purpose of Vipassana. The secret is in remaining equanimous so that maximum amount of our old sanskaras in stock could be spent away. Day 5: The ordeal of adhittana continued, while scanning the body for sensation on the surface of the skin goes on. Today we can start scanning head to toe and also in reverse direction – toe to head. We are supposed to sit in adhittana for 3 one hour slots through the day. I could not sit still for more than 35 minutes which gradually increased to 45 minutes on day 8 but not beyond that. Meanwhile the fears almost vanished and brought up sadness and guilt. I realised as days passed deeper repressions that have their roots in early childhood started to surface. The best part was I was able to sit still and observe them as they came up as thoughts and also body sensations without any aversion or the need to push them away. Psychologically it was beneficial to me to identify the major issues still remaining unresolved in my life. I don’t think that is an intended benefit of Vipassana but I found it valuable to identify those issues. Some of them even got resolved by themselves at the end of day 10, but I’m sure some of them still stayed even though with much lesser intensity. Day 6: Frustration at its peak: I felt frustration at its peak today as I was not able to sit in adhittana beyond 30 or 40 minutes; my back started aching madly; the legs were almost becoming heavy like lead and sharp excruciating pain running though the surface of the legs every now and then. Adding to this deadly concoction was thoughts of experiences that triggered anger and resentment. I realised first hand why Acharya Goenka says day 6 is a crucial day testing the utmost patience of the students. The thought to give up surfaced a few times but thankfully never too seriously. So I got through this day as well. I asked the teacher what to do since I was not able to sit in adhittana for the whole hour due to excruciating pain. I was told that pain is an indication that I’m practicing the technique in the right way. I found that initially annoying and did not believe it, but slowly it dawned on me that whenever my thoughts are around matters out there I did not experience any pain. The moment I start bringing my mind to the sensations, I start feeling the pain. This means the pain was always there, but by diverting the mind, I was only running away from or denying the existence of the pain and so it wold only get repressed and not resolved. Once this realisation dawned on me, I was able to sit and observe the pain much more dispassionately than before. I believed then that pain is an indication of the technique being practiced correctly, whereby the sanskaras are surfacing. I was reminded of what a doctor said to a friend of mine after his surgery when he complained of pain – ‘pain is a symptom of healing’. I concluded it is true not only in case of the body but also for the mind. By that time, a strange phenomenon I noticed was that the dreams while sleeping at night were crazy. People, places and incidences that I have never dreamt before came up. Some were pleasant while others were mainly ghory and repulsive. I think these are also ways in which old sanskaras find expression and resolution. Best part was in spite of all these dreams I could sleep peacefully every night – from 9 at night to 4 in the morning. Even though there is no physical labour, end of the day when I hit the bed it feels like a full hard day and I sleep off within few minutes, which is very unusual of me. Normally I take longer to sleep. Doing nothing is the most tiring job! The paradox is it is also the most rejuvenating task. I invariably woke up fresh and without any grogginess at 4 every morning. Days 7-9: Rhythmic flow: Once the rhythm set in on day 6, the next 3 days passed on effortlessly, even though the mind kept chatting all the time whenever it found a recess. Interestingly much of the thought generated creative solutions to some of the long pending unresolved issues I was holding on to. I suppose these are unintentional by products of the process. A bonus I liked. By now I found myself getting comfortable with sitting long hours and also realised I developed a clearer understanding of how the technique works. That was not the case during the first time. I also developed a sense of conviction over the technique and resolved to practice as often as possible even after going home. Another interesting stream of thought that went through me was about The Buddha’s take on God (isvara) and soul (atma). Contrary to popular belief he did not shun the notions of God or soul but he just kept them aside as he did not feel the need for them in order to be released from the cycle of misery. He emphasised the need to focus inwards and the only true object of life – the breath. He also emphasised how each one is solely responsible for his or her own emancipation and nobody else, not even any god or God could do that. I found this approach highly revolutionary, secular and scientific for his times, which transcends all forms of social differences and embraces all of humanity and makes salvation universally available and accessible. Day 10: Balm and buffer: Being the last day, it is kept for the participants to gradually return to the ‘normal’ life. It acts as a cushion to the noise and speed of life out there offering a buffer period to slowly transit from the monk like living to the life of ‘samsara’. We are also taught a different meditation called ‘metta’ meaning compassionate love or loving kindness. While Vipassana is inward-focused and for the benefit of oneself, ‘metta’ is meant for all beings out outside of us. Its noble purpose to share the fruits of Vipassana practice with all beings. For the first time in 10 days we are allowed to shift our focus of themind outside of ourselves and reach out to all whom we know and also all those whom we don’t know. In fact it is to reach out to all of creation with the intention of kindness, compassion and love. We first fill ourselves with peace, harmony, freedom, liberation, fruits of dhamma, merits (punya) and ‘metta’. Then we share these with all. It also acts as a soothing balm after the 9 days of rigorous and often painful Vipassana experience. Observing the noble silence was effortless this time as I understood clearly the rationale behind it. Last time I followed it as a precept or a rule to be followed blindly. But this time I realised its purpose is to protect us from falling prey to the temptation of lying. If we speak we tend to lie intentionally or unintentionally. Not lying is one of the core necessary discipline to practice Vipassana. Knowing this made the observation of noble silence a pleasant and liberating experience. After the morning group sitting on day 10 the noble silence comes to an end. That means we can talk. God, people talked as if they were told to compulsorily talk nonstop. For the first time I heard the adventures of my roommate a young lad from Surat who was on a road trip. Each student had his own story whether they were from India or Germany or Sweden. It was amazing to see how people from such diverse cultures are brought together by the thirst for self-realisation. Still we were off using our phones. After the last group sitting that night, at 8.30 pm our phones were returned. Then started another round of chit chat, but this time each one by themselves over their phone. This is also the day when we can donate any amount we want to, if we want to. The whole Vipassana is offered as ‘dana’ (charity) by those who have already gone through it. One of the precepts of the life of a monk is to live on the charity of others. This helps to keep our ego under check. So we are not charged for the programme. At the end, after receiving the dhamma of Vipassana, we can offer whatever we wish as ‘dana’ so that others can also benefit from receiving dhamma. I found that a noble act. Big or small all contribution is accepted wholeheartedly. Again giving need to be from a space of sharing our selves so that others receive dhamma and not as a compensation for what we received. After all what we receive from the practice of Vipassana is not measurable. Day 11: After breakfast we were released from the high security prison into the wild and noisy world. Life returned back to normalcy but I experienced a general sense of calm and balance in the way I look at life around. I experienced some tangible change in my way of responding to adversaries. Occasions when I would normally react with disdain or irritation reduced and sometime eliminated. Tiruvannamalai: I cannot close this piece without writing about the venue itself. I chose to do it in Dhamma Arunachala as I felt it was a privilege to spend 10 days on the land where the holy hill stands supreme. The hill was visible at a distance from the campus and that was a rewarding experience to watch it every day whenever we were out. The lush green paddy fields around and the cool weather made it much more pleasant. The stunning view of the sunrise and sunset every day was surreal. I realised how much we miss these natural luxuries in our daily city lives. The facility itself was satisfactory providing for all the basic requirements with care and precision. The volunteers served with utmost humility and generosity. The food was wholesome and tasty. The architecture was eco-friendly with open bricks made from the clay soil available in the campus itself. I look forward to going back there whenever I feel the calling from within again! Postscript: The effectiveness of sustaining the benefits of these 10 days practice depends on the consistency of regular practice. The ideal recommendation is one hour every morning and evening. But given other preoccupations, I decided to sit for at least one hour every day. Bhavatu sarva mangalam! May all beings be happy! Reading the post leaves me with only one thought -the post itself is an integration of body and mind. A very detailed day by day account can only happen with Panya which Suriya brings in. Very well written and inspired me to come out of my comfort zone. is that a reaction-sanskara ? Previous Previous post: Ready, 1, 2, 3, FO…..